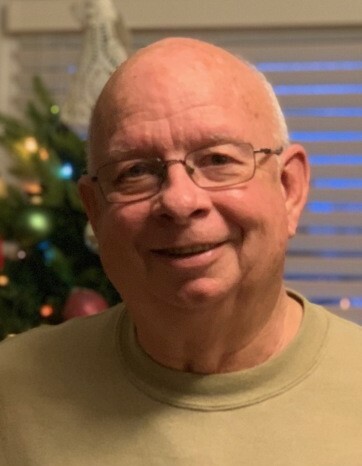 James Michael "Mike" Nelson 68, of Tipton, passed away on Feb. 4, 2019, at IU Health Methodist, following a brief illness. Mike was born on March 27, 1950 to the late William H. and Martha E. (Merrill) Nelson. Mike graduated from Tipton High School in 1968, he then attended Maranatha Baptist Bible College where he earned his bachelor’s degree. Mike married the love of his life, Vickie (Hungate) Nelson on June 7, 1974, and they have enjoyed many years of marriage. Mike was a hard-working man and had several jobs through the years but is probably best known for his time spent working for Marsh Supermarket. He worked for Marsh from 1992 through 2017, holding positions in Produce and Management. Mike was a loving husband, father and grandfather. He absolutely loved spending time with his grandchildren, and thoroughly enjoyed being a part of everything they were involved in, especially sports. Mike was an avid sports fan. He had a deep admiration for the game of baseball, with the Cincinnati Reds being his favorite team. He often traveled to Arizona to watch MLB Spring and Fall training. Mike also enjoyed taking trips and traveling with his family. He took great pride in the quality time he spent with those he loved. Mike will be greatly missed by all who knew him! Those left to carry on Mike’s legacy of love are his wife, Vickie Nelson; sons, Nathan (Kristina) Nelson and Dave Nelson; grandchildren, Alex Ryker, Ella Nelson, Kolton Nelson, and Dylan Nelson; brother, Larry Nelson; and many nieces, nephews, aunts, and uncles. Mike was preceded in death by his parents, William H. and Martha E. (Merrill) Nelson. Funeral services celebrating Mike’s life will be at 2:00pm Saturday, February 9, 2019 at Taylor & Cowan Funeral Home, Tipton Indiana, with Pastor Randy Carlisle officiating. Burial will follow at Fairview Cemetery in Tipton. Visitation will be on Saturday from 11:00am to 2:00pm, at Taylor & Cowan Funeral Home, 314 N. Main St. Immediately following burial, the family of Mike Nelson would like to extend an invitation to the Cicero Township Community Room, located at 750 Development Dr. in Tipton, for a time of celebration, food, and fellowship. Please feel free to leave an online condolence or share a special memory of Mike with his family on his tribute wall.